The Carpe Librum Craven giveaway closed at midnight last night, and I received some great entries. Entrants were asked which place they would like to go (or prefer to avoid) if they had the gift of retrocognition, like the protagonist in Craven by Melanie Casey. Claire's entry was: I would probably want to go somewhere historic like the Tower of London, it would be so interesting from a historic point of view but also really exhausting because of the horrible way they met their death. * (If a valid postal address isn't received then a second winner will be drawn). 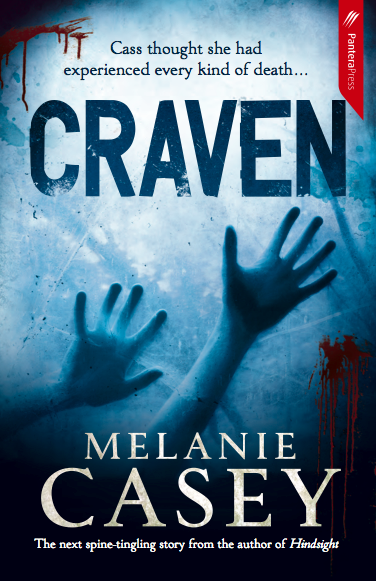 Thanks must go to Pantera Press and Melanie Casey for providing a copy of Craven to make this giveaway possible. * Unfortunately more than a week has passed and I can't track down Claire P. so I have no other choice but to draw a new winner. Congratulations to Jessica (frellathon), please email me with your postal details by COB 19 August.